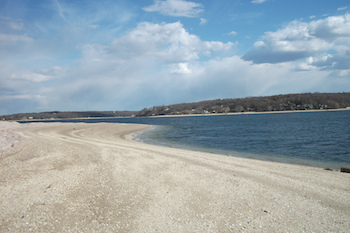 The Town of Islip is located on the beautiful south shore of Long Island, New York. With a history built on the back of the American Revolution, Islip proves to be more than just a fun vacation spot, but a historical landmark as well. Once you’ve settled in, take the ferry to Fire Island where you can enjoy the Fire Island Lighthouse, the ever-changing sandbars, or the unique nightlife. Elite Airways flies in and out of the Long Island MacArthur Airport, a public airport in Ronkonkoma, on Long Island. On-site car rental services are available and shuttle buses connect the airport to the nearby Ronkonkoma Railroad Station. Check back soon for updated route information. Long Island MacArthur Airport (ISP) is located in Ronkonkoma, Town of Islip, on Long Island New York. It offers convenient parking options, free airport Wi-Fi, on-site restaurants and car rental services. The Elite Airways ticket counter is located in the main terminal. Luggage can be retrieved at the baggage claim next to the main terminal. Click here for airport website. As one of New York’s hidden treasures, Islip has something for the whole family! Enjoy the local history or take a ferry to Fire Island for a day of boating and fishing. Ready to take in the area’s surroundings? Enjoy the wineries and vineyards of Long Island or the beaches of Southampton. Click here for more information. Located just off the south shore of Long Island lies Fire Island, a popular and diverse getaway for tourists and Long Islanders alike. Spend the day boating and fishing and the night camping in one of Fire Island’s three designated campaign areas. The ever-changing dunes and sandbars make this a thrilling adventure for families, couples, and empty-nesters. When you’re ready for a bite, enjoy the island’s vast array of restaurants and get ready to partake in the exciting local nightlife. 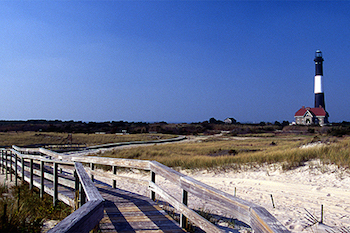 While on the island, consider spending the day at the Fire Island Lighthouse. The Lighthouse sits 6 miles in from the inlet and is well worth the hike to visit! The Fire Island treasure has been restored and preserved by caring citizens who welcomed the history it brought to the area. Today the Lighthouse stands as a museum and landmark for curious travelers. No matter how you spend the trip, Fire Island promises to be a memorable experience! 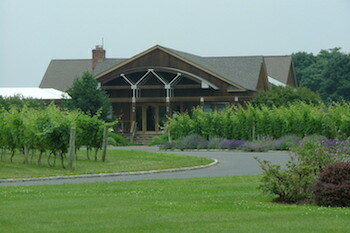 Located just north of Islip is the Long Island Wine Region, a unique area rich in both land and culture. It has been 40 years since the first Long Island vineyard was planted and the region is now one of the most exciting up-and-coming wine regions in the country. The vinicultural area consists of all the land of South Fork, Long Island including the beaches, shorelines, islands and the mainland. Whether an intimate visit for two, or a group ready to take in the sights, the wineries and vineyards of Long Island have just what you’re looking for. With many weekend and vacation packages to choose from, you’ll be able to create the perfect, tailored getaway. And when it’s time to dine, choose from any of the area’s exquisite restaurants. Staying the weekend? The region offers lovely rentals, bed and breakfasts, and hotels. Lively, educational, artisanal and delicious – when visiting Islip be sure to spend a day at the vineyards. Located just east of Islip is Southampton, New York and its nearly a dozen remarkable beaches. Named by “Dr. Beach” as the top beach in the nation, Coopers Beach in a must-visit. With a lifeguard on duty, public bathrooms and showers, and delightful weekend lobster bakes, this beach is a popular destination for tourists and life-long New Yorkers alike. Ponquogue Beach is another family-friendly destination that boasts volleyball and surf-and-ride body boards. Ponquogue also touts a concession stand and covered picnic tables! Pikes Beach and Meschutt are other beautiful beach destinations great for soaking in some sun. As imagined, parking for the beaches in Southampton can be wearisome. Unless you have a pass, most beaches will not allow you to park your car. However, pass applications are available online and you can send them in via mail or drop them off in person. You can also avoid parking by considering the Long Island Railroad or by booking a trip through a private charter bus.